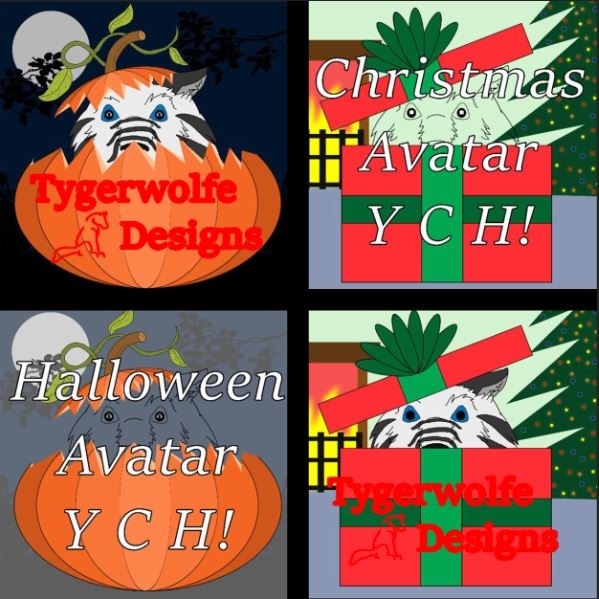 Become a patron today to get these two new holiday themed avatars for FREE! This Patron Exclusive is available for every level of Patronage! As little as $1 a month will get you these two exclusive avatars, made with your own personal character! Any type of character is available - human, canine, female, avian, etc. These avatars are usually $15 each, and you'll be able to get both for as little as $2! This is an incredible deal. But hurry and sign up - the Halloween Avatar will no longer be available for another year after November 1st! What do you think of these avatars? What else would you like to see from me? What avatars or other things would make you want to become a patron? And patrons, what would YOU like to see and get? Let me know in the comments!